Antitrust The U.S. Justice Department has opened a “wide-ranging antitrust investigation” into whether cable operators are illegally using bandwidth caps and other tactics to try to squash growing competition from online video services like Netflix, the Wall Street Journal reported last week. Subsequent reporting by the Journal revealed the investigation also covers the satellite TV services Dish Network and DirecTV, and that the feds are also looking into whether pay-TV operators are using so-called most-favored nation clauses in carriage agreements with the networks to restrict the network’s ability to license their content to online, over-the-top distributors. The investigation and the issues at stake, particularly the department’s apparent focus on most-favored nation agreements, carry distinct echoes of the lawsuit the Justice Department filed in April against Apple and several leading publishers over an alleged conspiracy to fix prices in the e-book market. As in the cable industry investigation, the e-book lawsuit charges Apple with using most-favored nation clauses in its agency licensing agreements with the publishers to ensure that neither Amazon nor any other e-book retailer gets a better deal than Apple got or can sell e-books at prices lower than Apple’s price. It is not clear at this point whether the current investigation of the cable industry will result in charges being filed against the operators and/or the networks. And it’s too early to tell whether the government’s action against Apple and the publishers is likely to lead to punishments being imposed. In its formal reply to the department’s complaint, Apple basically ridiculed the government’s case, calling it “fundamentally flawed as a matter of fact and law,” and accusing the government of siding with the “real” monopolist in the e-book market: Amazon. 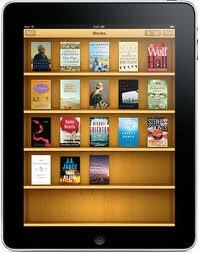 The publisher defendants have largely echoed Apple’s argument. Yet legal merits aside, if I were running (or investing in) a major media company right now I’d be worried about two ominous threads that seem to run through and connect the two cases. First, the Justice Department seems to giving a lot of antitrust scrutiny to media markets these days, particularly those where long-established business methods and distribution channels are being challenged by new — but perfectly legal — digital technologies. Even if the department takes no formal action against a company or group of companies, that kind of scrutiny can be distracting to management, can create an overhang on your stock price and can lead counterparties to demand indemnification and other protections in deals, adding to cost and risk. Second, and even more ominous, are signs the government has taken a keen interest in the process by which established media markets get disrupted and appears to favor the forces of disruption over the interests of the incumbent publishers, distributors and service providers. Much of the criticism the government’s case against Apple and publishers, from the defendants as well as from third parties like Barnes & Noble and the American Booksellers Association that have written the department to express their concerns, has focused narrowly on the market for electronically delivered e-books and the dominant position Amazon has in that market. If there’s a bad guy in the piece, the critics argue, it is Amazon, whose below-cost pricing of e-books is essentially predatory, designed to drive out existing competitors and prevent new entrants from gaining traction in the market. While the introduction of agency pricing may have raised prices for consumers in the short run, the critics claim, it was only from their predatory level and the effect will be to preserve consumer choice by preserving competition among e-book retailers. That’s probably not a bad argument as far as it goes. Antitrust cases often turn on how the market in question is defined and on who has market power, a term with a precise meaning in economics and with specific legal consequences. But another way of reading what’s going on here is that the Justice Department is more interested in the process of disruption than in consumer e-book prices per se. As with a lot of old media industries, a small number of large publisher-distributors have been able to exercise cartel-like control over the book business by virtue of the economics of distribution. Publishing books requires a significant amount of risk capital. Someone has to put up the author’s advance, editors need to be hired and housed, copy editors, graphic artists and others involved in the preparation of a book need to be retained and paid, books have to be printed, shipped and warehoused before the first copy can be sold, capital reserves must be put aside to cover potential returns. The publishers’ ability (or willingness) to put that much capital at risk gives them access to the best authors, leverage with retailers and distributors and access to the most popular channels for marketing and promotion, all of which create substantial barriers to entry for entrepreneurs seeking to break into the publishing business. Digital technology eliminates many of those costs, particularly those related to printing, shipping and returning hardcover books. As those costs get eliminated, barriers to entry fall and the incumbent publishers’ grip on the business is loosened. If you look past all the stuff in the government’s complaint about secret meetings among the alleged conspirators in fashionable New York restaurants to the substance of the argument, it is the disruptive effect of digital technology in the form of e-books on the market dominance of the old-line publishers that the Justice Department seems most interested in. The Publisher Defendants believed the low prices for newly released and bestselling e-books were disrupting the industry. The Amazon-led $9.99 retail price point for the most popular e-books trouble the Publisher Defendants becasue, at $9.99, most of these e-b00k titles were priced substantially lower than hardcover versions of the same title. The Publisher Defendants were concerned these lower-ebook prices would lead the the “deflation” of hardcover book prices, with accompanying declining revenues for publishers. . . The Publisher Defendants also feared that the $9.99 price point would make e-books so popular that digital publishers could achieve sufficient scale to challenge the major incumbent publishers’ basic business model. The Publisher Defendants were especially concerned that Amazon was well positioned to enter the digital publishing business and thereby supplant publishers as intermediaries between authors and publishers [emphasis mine]. The actual price-fixing, in other words, as alleged by the government was not so much an end in itself as a means to an end. The publishers’ ultimate goal was to prevent new entrants from taking advantage of price deflation to undercut the incumbent publishers’ market power. That’s where most-favored nation clauses come in. The clauses are common in a wide range of industries, including retail industries, and are generally considered competitively neutral or even slightly pro-competitive. In the e-book case, however, the government claims the MFN clauses the publishers agreed to with Apple had a specific anti-competitive effect. [T]he MFN here required each publisher to guarantee that it would lower the retail price of each e-book in Apple’s iBookstore to match the lowest price offered by any other retailer, even if the Publisher Defendant did not control that other retailer’s ultimate consumer price. That is, instead of an MFN designed to protect Apple’s ability to compete, the MFN was designed to protect Apple from having to compete on price at all. . .
Apple and the Publisher Defendants recognized that coupling Apple’s right to all of their e-books with its right to demand that those e-books not be priced higher on the iBookstore than on any other website effectively required that each Publisher Defendant take away retail pricing control from all other e-book retailers, including stripping them of any ability to discount or otherwise price promote e-books out of the retailer’s own margins. Otherwise, the retail price MFN would cause Apple’s iBookstore prices to drop to match the best available retail price of each e-book, and the Publisher Defendants would receive only 70 percent of those reduced retail prices. Price competition by other retailers, if allowed to continue, thus likely would reduce e-book revenues to levels the Publisher Defendants could not control or predict. Each Publisher Defendant required assurances that it would not be the only publisher to sign an agreement with Apple that would compel it either to take pricing authority away from Amazon or to pull its books from Amazon. Regardless of what it meant for Apple, for the publishers, the MFN clauses they all signed acted as a kind of insurance policy against disruption. So long as all of their competitors signed, e-book prices would remain anchored to a level that would not fatally threaten the publishers’ pricing power in the hardcover market, and would preclude the possibility that anyone would get cheeky — or terribly innovative — in their licensing terms in ways that might encourage new entrants. It was essentially a suicide pact between the publishers not to cooperate with or encourage the forces of disruption in the publishing business. As it happens, the e-book case is not the first time in recent years that the Justice Department has cast a jaundiced eye on most-favored nation agreements. Back in 2010, DOJ sued Blue Cross Blue Shield of Michigan over its use of MFN clauses in its contracts with hospitals. That market, too, is undergoing disruption as a result of the Affordable Care Act. In its lawsuit the department focused on the use of MFNs by dominant insurers in particular geographic markets to create barriers to entry, raise rivals’ costs and generally suppress competition — in short, to stave off disruption. All of which brings us (at long last) back to the department’s current investigation of the cable industry. While most commentators have focused on the question of bandwidth caps, or on the investigation’s possible impact on broadband pricing, the department’s interest in MFN agreements between networks and pay-TV operators may be the more important aspect of the case. According to the Journal report, those agreements apparently are structured to have the practical effect of limiting a network’s ability to license its content to online video services. If a network is required by contract to give Comcast the lowest available price for its content, that network has little incentive to make its content available to an online startup, which by definition lacks the scale to pay the sort of prices Comcast can pay. MFNs are being written to cover the rights that both distributors and channel owners have in use of TV content online. That comes as rising availability of online video is prompting channel owners to make some traditional TV content available online—while taking steps to ensure the existing TV-subscription business isn’t undercut. Viacom Inc., for instance, made a deal with Netflix Inc. that allowed the company to stream some shows from Viacom’s Nickelodeon channel last year. A person familiar with the matter said MFN clauses in Viacom’s agreements meant it had to negotiate with cable operators before moving forward. “There were a lot of hurt feelings,” the person said. No doubt there were. Like the agreements between Apple and the publishers, MFNs in the cable industry are being used as a kind of insurance policy for operators against disruption of their business by new digital entrants, and by the networks as a mutual suicide pact akin to the book publishers’ to reduce the temptation to embrace the forces of disruption. The Justice Department, however, appears to be hip to the game. It also appears to have developed a new approach to most-favored nation clauses and other restrictive terms in contracts that sees them as potentially anti-competitive, particularly when used by incumbents in markets that are undergoing rapid, disruptive change. That’s a category that would include a lot of media markets these days. More generally, the Justice Department seems to be developing a distinctly pro-disruption bias in its approach to antitrust. Thus, even if its investigation of datacaps in the cable industry leads to higher consumer broadband prices in the near term, by driving cable ISPs to adopt usage-based pricing instead, if it also results in the elimination of most-favored nation clauses in a way that opens up the licensing of content to new entrants and undercutting the incumbent operators’ monopoly on video, the department might just take that as a reasonable trade off. If I were an old-media incumbent, I’d be very worried by that trend.